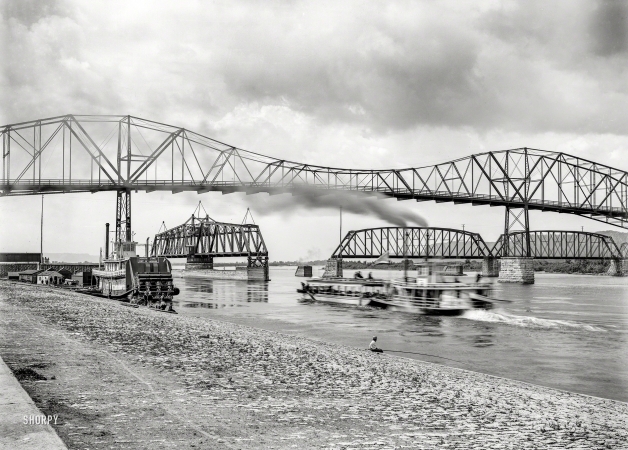 The Mississippi River circa 1898. "Winona, Minnesota. The levee below the bridge."